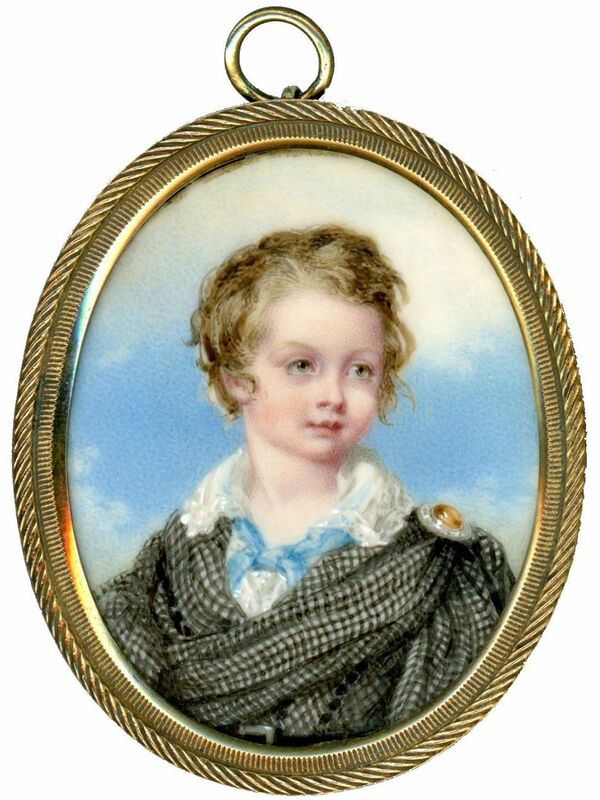 The natural break-up of families can often cause the dispersal of family portraits so it is always a welcome discovery when a collection of related portraits appears. 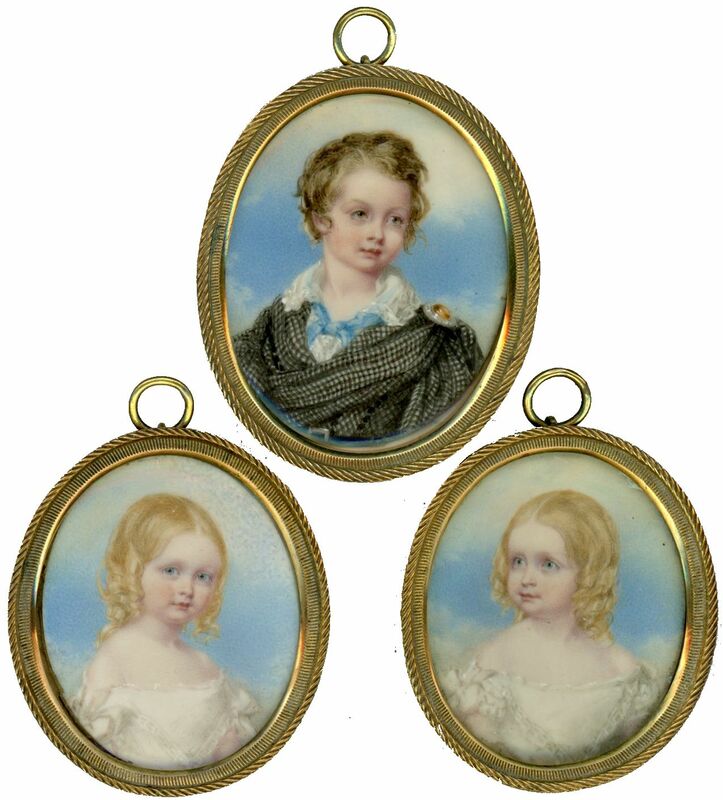 This small family group of three siblings depicts the children of Shadwell Morley Boulderson and his wife Louisa Ann (neé Money) of Brahan Castle in Easter Ross, Scotland. 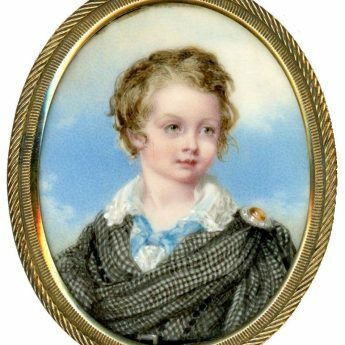 Samuel (1839-1893) in a striking black and white tartan cloak fastened on the shoulder with a plaid brooch is shown at about five years of age. 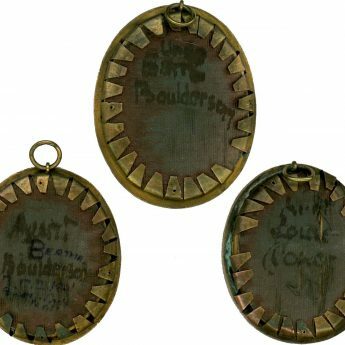 He went on to serve with the 17th Lancers during the Indian Mutiny and the Zulu War. 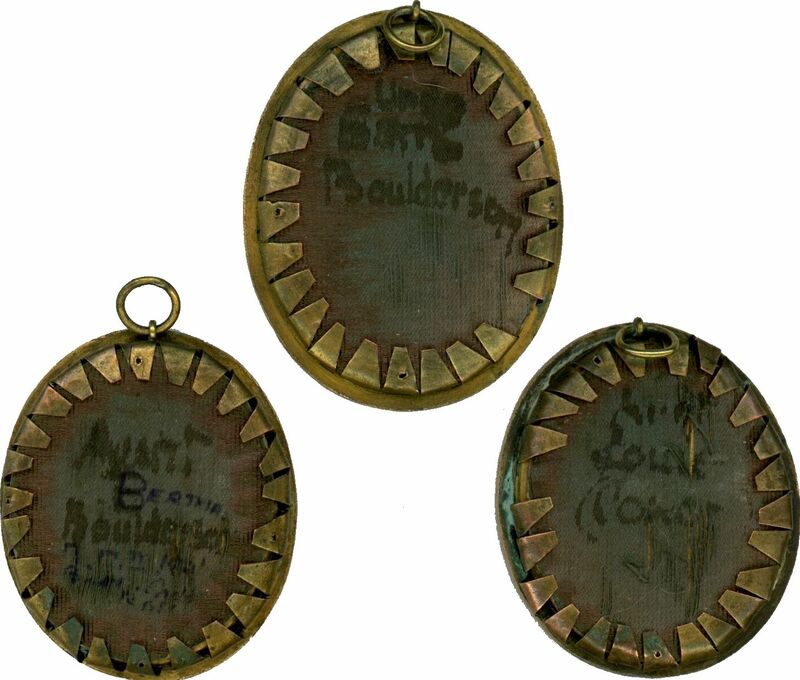 His twin sisters, Bertha and Louisa, were born in 1841. 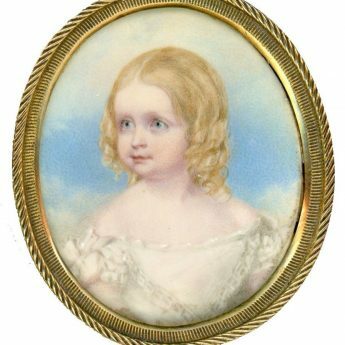 Looking very alike with their blue eyes and golden curls, the girls are wearing matching white dresses with ribbon bows on the short sleeves. 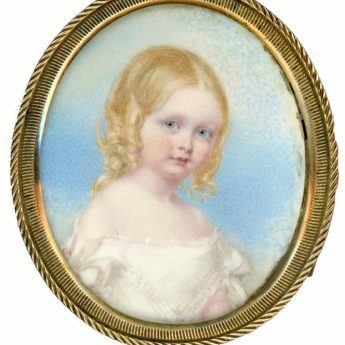 As was the tradition, Bertha and Louisa were presented at court to Queen Victoria by their mother at the age of eighteen in 1860. 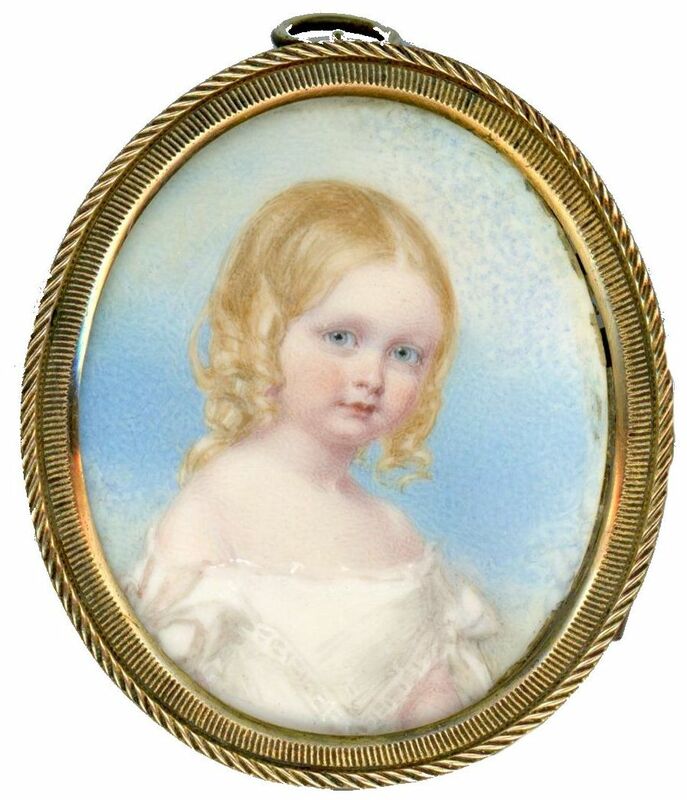 Bertha did not marry and continued to live with her mother in London. Louisa married a Belgian gentleman, Attwell Coxon, whose appointment as foreign consul took the young couple to Hong Kong. Louisa was “unconventionally athletic preferring to drive her own pony cart instead of travelling by sedan” as was the norm for ladies there. She was also a pioneer and founder member of the Ladies Recreation Club, one of the most sought-after sports clubs in Hong Kong, even today. 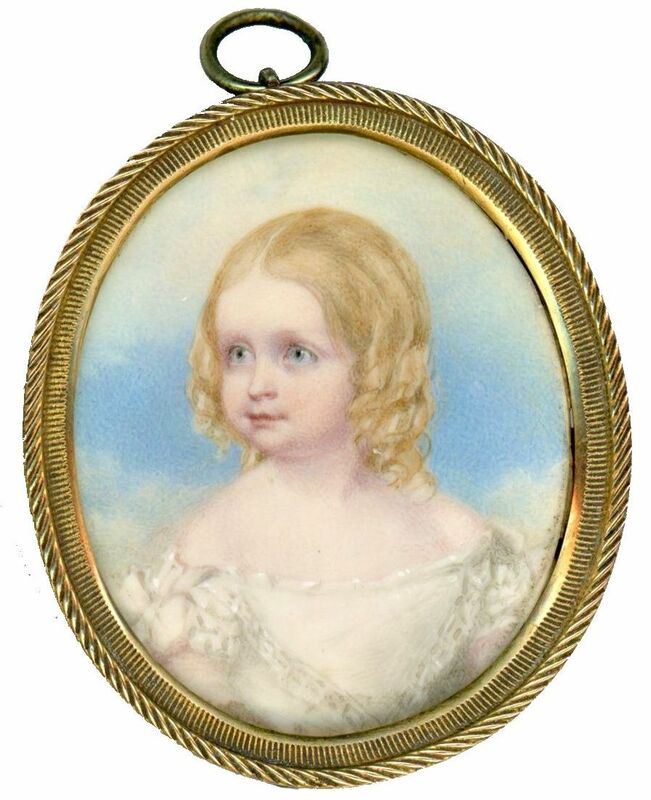 She died in 1874. 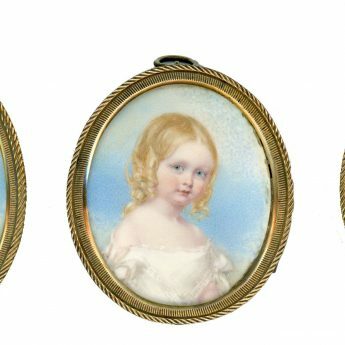 The portraits are in fresh clean condition and are housed in simple gilt metal frames backed with green silk which a descendant has had the foresight to inscribe with their names.